Liz uses a combination of her medium, counselling and coaching skills to present the best possible session she can provide. 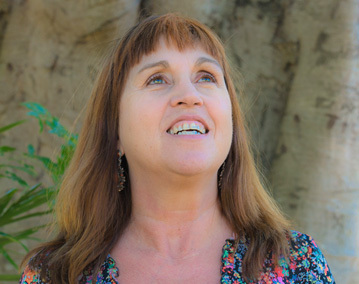 Liz’s passion is to uplift and inspire people who seek her out by assisting one to connect with our own innate higher wisdom and also pass on the advice and guidance that comes through from the other side. Liz is available for consultations via phone, Skype or WhatsApp video at the moment. NO IN PERSON READINGS AVAILABLE at this time. Payment can be made by credit card or cash at the time of the session. Other options are PayPal or direct deposit to be paid before the session. Liz is a qualified life coach, trained at the Foundation of Holistic Coaching, by best selling author and coach, Alan Cohen. Life coaching differs to a medium reading. A medium reading is where Liz connects to your loved ones and guides in Spirit and brings messages of survival and general guidance through which can be wonderful and uplifting particularly if you have lost dear ones in Spirit. A life coaching session is about tapping into your own higher wisdom, your own inner guidance while Liz lovingly guides you and encourages you through the process of finding solutions to anything in your life you feel is holding you back or bringing you down. Incredible shifts happen when you have profound realisations. We all have a blind spot when it comes to our own understanding of ourselves and our lives. The goal of a coaching session is to remove the blind spots which will propel you into your own brightness and empowerment. Liz offer life coaching sessions in person or alternatively Skype, telephone, Zoom or Facetime. Alternatively, you may want to consider a package offer as a series of life coaching sessions can benefit one greatly and bring real transformation into ones life. Both packages below include unlimited email access to me during the coaching period. I will be checking in with you between sessions to offer support and encouragement. 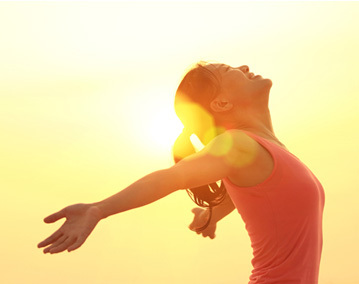 If you choose to commit to 4 life coaching sessions the current promotional price is $560. If you choose to commit to 6 life coaching sessions the current promotional price is $750. This is a popular choice when people can’t decide which service they would prefer. The time frame for this choice is approximately 75 minutes and the cost is $15oAUD. The first 45 minutes is a life coaching session where we Liz will work with you to see past any obstacles that are reducing the joy element in your life. The last half an hour, Liz will use her unique medium skills to tune into Spirit and see what messages they have for you. Working with Spirit, I see people transform before my eyes. Being a light worker has been an incredible journey for me. Not only do I see others heal and grow but it has a mirror effect and allows me to transform and grow also. However, if you are a psychic, healer, medium or light worker of any kind, you may at times feel alone and unsure of the best direction to express your gift to the world. You may be in conflict with the strong urge deep within to serve and the limitations of the world around you. You may find it hard to attract enough clients and to create a practical income from your unique gifts. I understand as I have been light working for over 30 years including teaching psychic development and have experienced the highs, the lows and the magical. I am passionate about helping light workers create an income from their gifts, attract the right clients, experience a burden free relationship with your clients and be witness to the magic that Spirit can weave. Light workers most common block is lack of self-confidence and in this program there is a large focus on working on the light workers self-esteem. You can choose from one session or a six week program. The beauty of the program is that it is a process you will go through over a six week period, giving you time to integrate new energy and shift old blocks. Another common block is ‘burn out’ from trying too hard to fix others problems. I can show you how to prevent burn out by creating client relationships that focus on self-empowerment for the client. Each client will be a joy to work with, whatever the outcome. It will be truly a healing and uplifting process that will propel you towards creating a light working business that you desire and will support you. Your commitment to this process is important for you to see the results you want. Each session Liz will use coaching, counselling and mediumship skills to help you make choices that empower you and your clients. We can meet in person in Mullumbimby or work via Skype, Zoom, Facetime or Telephone. All sessions can be recorded if desired. Below is an outline of the program. Please be aware as each light worker is unique, the process will vary depending on your unique soul and gifts you have to share and where the point of healing lies for you. One initial 60 minute coaching session either in person or via phone/Skype. This session is an authentic coaching session which will give you the opportunity to connect with my energy and see how it sits with you. If you want to go ahead, you can make a commitment to the program. Once payment is received we can begin to schedule your sessions. If at this point you decide it is not for you, you will be charged $100 for the 60 minute session. 2 x 60 minute sessions. One session initially and again as a follow up session within 2 weeks of completing the program. I will be checking in with you between sessions to encourage and help in any way I am guided to. Cost The current promotional price is $750. A small price to pay to change your life! If you would prefer just one mentoring session, they are available at the current promotional price of $150 for one 75 minute session. Liz Winter accurately predicted not only the birth of my son two years before he was born but also the hair colouring and personality. The guidance received in a reading with Liz is always useful in helping to map out life pathways and confirm thoughts and ideas. 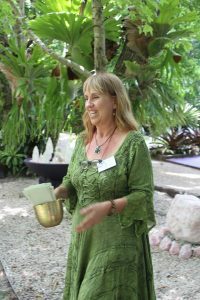 Liz’s readings are always uplifting and inspiring and have helped me a great deal. I would whole-heartedly recommend Liz Winter to anyone seeking insight and assistance negotiating life’s challenges and opportunities. I have had readings from Lizzy over the past eight years. I have found her to be one of the most accurate, down to earth and compassionate mediums I have ever consulted. From my own experience, the most useful and grounded way to use the unique talents of mediums is not to seek answers from them but use the information they provide to aid in finding those answers within yourself. From this perspective, Lizzy’s readings have been invaluable. Therefore, if you find yourself at a juncture in your life, and believe wise, accurate and insightful information conveyed compassionately, would be of use, don’t hesitate to arrange a reading with Liz. I have been speaking with Liz for the last couple of years. When I first contacted her it was to clarify a lot of things in my life. Apart from sorting out so much, I came always feeling peaceful, despite the highly anxious state I was in before that. I regularly speak with Liz now, more so, I feel for counselling purposes than anything else although the accuracy in my readings always helps in guidance. Liz offers a non judgemental and therefore safe place for me to explore where I am in my life journey and where I am going. What I love about Liz is her down to earth attitude and her genuineness. I have experienced much grief in my life. Liz first read for me ten years ago and accurately described my son in Spirit and bought through his name. This bought me enormous comfort to know he was okay. Over the years Liz has continued to inspire and uplift me through her work and I highly recommend her as a genuine and gifted medium. I had just started out on my spiritual journey when I went and did one of Liz’s Angel Workshops, it was excellent information to help shed some light on things. It also gave me some great techniques on how to connect and protect yourself. Liz made the whole room feel warm and safe. I then went on to have a reading with Liz and she connected me to my guide and gave me answers to help me on my spiritual path. 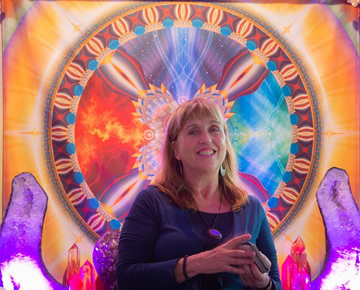 If you are ready to connect to spirit or need some direction in life, in a safe, warm and loving environment, I can highly recommend Liz. ‘Liz’s work has a beautiful symbology, that has touched my heart with its simplicity and accuracy. With great gentleness and kindness Liz reconnects us to Spirit and to ourselves. Her readings always have resonance for me – and often it is not until years later that I realise the truth of them. She is a true Light Guide for our path. Thank you for the beautifully loving, compassionate, insightful humorous fun and non judgmental teachings and ‘non ego driven’ holding of the classes you teach. You are wonderful. After having experienced what had been diagnosed as vertigo, since May, 2010, I had an Angel Reiki healing with Liz in January, 2011, and had an attack as I way lying down on the table. When Liz asked me about it, I told her that I had been having these episodes for eight months, and she said, “we can fix that”, and that was that! It wasn’t until I noticed at my Pilates class a few weeks later, that I was no longer experiencing the dizziness that had previously been there when I moved from side to side, that I realised that I no longer had the vertigo!!! Liz was right, that was that, and for that, I am immensely grateful. I would recommend Liz to anyone who wanted genuine Spiritual healing, from a real, down to earth woman. © Liz Winter 2019. All Rights Reserved.